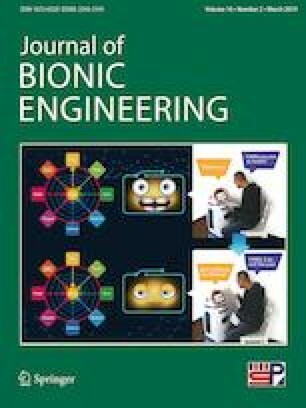 Motion control based on biologically inspired methods, such as Central Pattern Generator (CPG) models, offers a promising technique for robot control. However, for a quadruped robot which needs to maintain balance while performing flexible movements, this technique often requires a complicated nonlinear oscillator to build a controller, and it is difficult to achieve agility by merely modifying the predefined limit cycle in real time. In this study, we tried to solve this problem by constructing a multi-module controller based on CPG. The different parallel modules will ensure the dynamic stability and agility of walking. In the proposed controller, a specific control task is accomplished by adding basic and superposed motions. The basic motions decide the basic foot end trajectories, which are generated by the predefined limit cycle of the CPG model. According to conventional kinematics-based design, the superposed motions are generated through different modules alter the basic foot end trajectories to maintain balance and increase agility. As a considerable stability margin can be achieved, different modules are designed separately. The proposed CPG-based controller is capable of stabilizing a walking quadruped robot and performing start and stop movements, turning, lateral movement and reversal in real time. Experiments and simulations demonstrate the effectiveness of the method. The authors acknowledge financial support from the Zhejiang Provincial Natural Science Foundation of China (Y18F030012), the Natural Science Foundation of China (61836015), the Qingdao National Laboratory for Marine Science and Technology (2017WHZZB0302) and the State Key Laboratory of Industrial Control Technology, China (ICT1807).